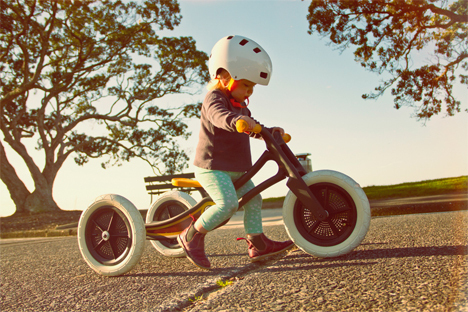 This cute convertible bike goes from tricycle to little bike to big kids’ bike as your child grows, but that isn’t even the most impressive of its tricks. 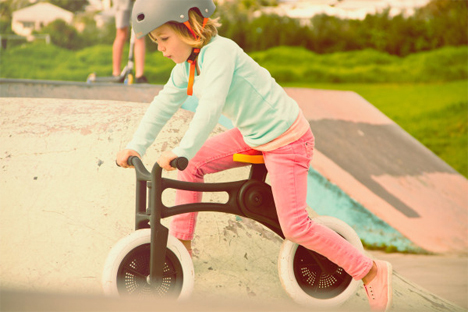 The Wishbone Bike Recycled Edition from Wishbone Design Studio also happens to be made from 100% post-consumer recycled nylon carpet. 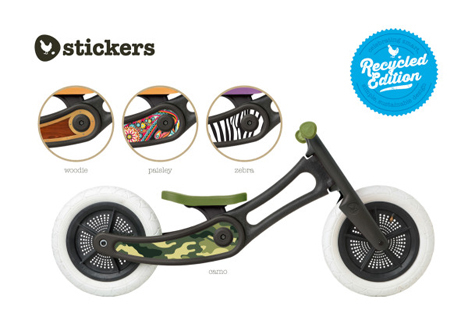 All outward appearances suggest that its frame is made of normal plastic, just like any other kids’ bike. 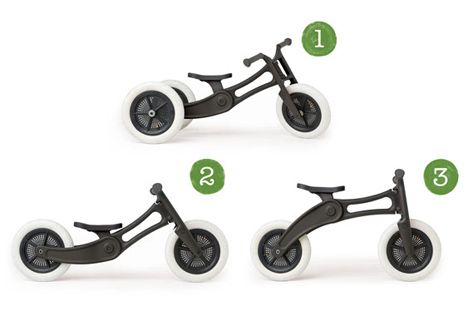 To make the bikes, the studio gathered used nylon carpeting from homeowners and shredded it into tiny pieces. Glass fibers were added for strength before the whole mess was turned into tiny pellets that would be molded into the bike frames. For each Wishbone Bike Recycled Edition, 7.5 pounds of old carpet are kept out of landfills. In addition, 7.5 gallons of of oil which would have been used to make new plastic for the frames are diverted for other purposes. Not bad for a kid’s first ride.